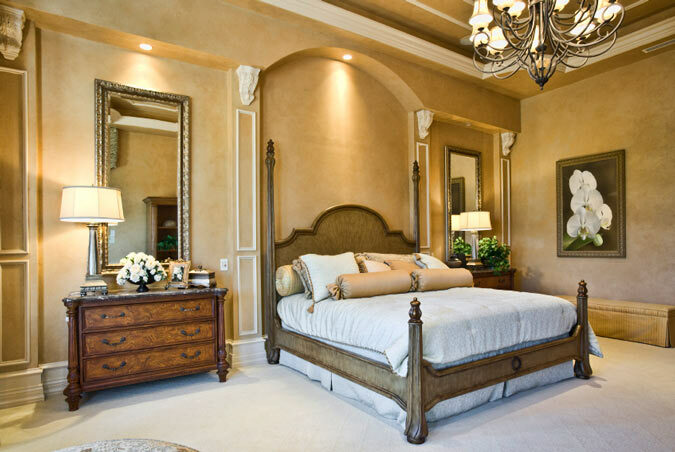 On most crown molding installations the crown is installed all the way up to the ceiling. On this installation they dropped the crown to the lip of the soffit and left an opening of about 6" above the crown. Leaving an opening above the crown allows you up to install a rope light around the perimeter of the room which will illuminate the ceiling. 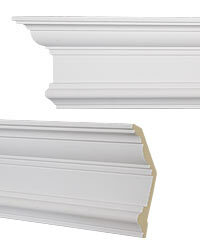 You can do this with most crown molding (they used something similar to CM-1079, but it is easiest to do if the crown molding has a large flat area that is in contact with the wall (Ex: CM-5011, CM-1118, and CM-1163). Corbels are often used to appear as supports for other features (ex: roof, soffit, kitchen hood, countertop). These are purely decorative but the addition of them adds another detail of interest to the room. 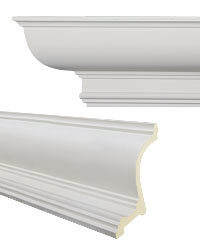 On this installation the most important dimensions for the corbel are the depth (the distance that the corbel projects from the wall) and the width (how much of the column's width it covers). 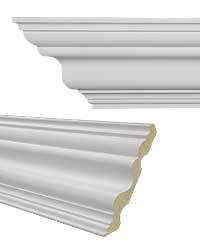 The height isn't as important because the wall relief can be modified based on the height of the corbel. Below each corbel are boxes created with a thin molding. 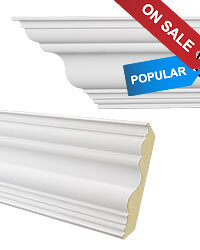 The most common molding used for this type of wall treatment is the WR-9139. On the ceiling you can catch a glimpse of a larger box going around the perimeter of the room offset about 1' from the walls. 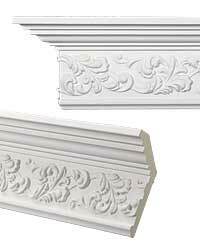 The molding used for a ceiling relief is typically a thicker piece like the WR-9132. These boxes are easy to create and they add a nice effect to the room. Imagine what this room would look like with a basic 3-4" baseboard. The appearance just wouldn't be the same. This baseboard is custom built and surprisingly enough it is pretty simple to do; all you need are sheets of MDF, a 5" or 6" baseboard, and a cap piece. Let's imagine that you are trying to create a similar baseboard that is 10" tall. Take a 1/4" or 1/2" sheet of mdf and cut it into strips that are about 8.5" wide. Install the mdf strips along the wall, add a cap piece and then complete the look with a 5-6" baseboard on the bottom. A well designed baseboard can make all the difference in a room.